Please read these policies and then click the "I agree" button to purchase your tickets. If you are a subscriber, you can also choose your seats by clicking "I agree" below. Help for the hearing/physically-impaired: while Shotgun does not offer an assisted listening system, we are happy to arrange seating to aid any of our patrons who have special hearing, sight, or physical needs. Please call our box office manager, Jonathan Kreuz, at 510.841.6500 x303 to arrange your seats as soon as possible. The more notice you can give us the better we can accommodate your needs. 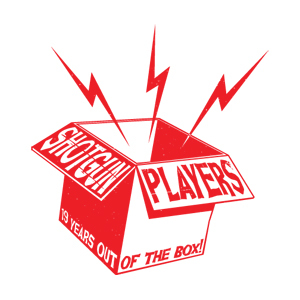 Shotgun Players Subscribers enjoy the benefit of reserved seats. All other seating is assigned on a first-come-first-served basis. When you check in at Will Call, you will be invited to select your seats before entering the theater. Will Call opens one hour prior to showtime. The House opens half an hour prior to showtime. On nights that the show is sold out (indicated by "**"), we will take names for a Waiting List starting when Will Call opens, one hour prior to show time. To get on the Wait List you must come to the theater in person. For reasons of safety and courtesy to the other patrons there will be no late seating. We strongly recommend getting to the theater at least 30 minutes before show time in order to select the best seats possible. To cancel a reservation, you must contact the Box Office (510/841-6500 x 303) at least 24 hours in advance. With at least 24 hour advance notice, you may be able to exchange tickets for another performance, provided tickets are available for that performance. Due to the fact that ticket prices vary on different nights, a ticket exchange may involve an upgrade in price. No refunds are offered for exchanges or cancelled reservations. Phone reservations will be taken until 5:00 pm for all performances except for Sundays, which stop at 3pm. All online sales close at 3:00pm the day of the performance. After such time on the night of a show, please come to Will Call to purchase walk-up tickets. PLEASE NOTE: If you wish to purchase tickets to all three shows for a special package rate of $50, you must call the box office directly at 510.841.6500.